Federal Housing Administration (FHA) loan limits will rise in most areas in 2017, applicable to cases assigned on or after Jan. 1, 2017, FHA recently announced. The increase, motivated by rising home prices, comes after the announcement that maximum conforming loan limits for mortgages acquired by Fannie Mae and Freddie Mac would also rise next year. The loan limit ceiling, according to a released by the U.S. Department of Housing and Urban Development (HUD), will rise to $636,150 from $625,500 in high-cost areas (areas where the loan limit exceeds the floor). The floor will rise to $275,665 from $271,050, applicable to areas where 115 percent of the median home price is less than 65 percent of the national conforming loan limit of $424,100. The maximum claim amount for FHA-insured reverse mortgages (HECMs) will also rise to $636,150, 150 percent of the national conforming loan limit. View the FHA loan limits by county here. Mortgage rates have reached their peak to date this year in the week leading up to the expected rise in the key interest rate, with the 30-year fixed-rate mortgage averaging 4.13 percent, according to Freddie Mac's recently released Primary Mortgage Market Survey® (PMMS®). The key rate, which the Federal Reserve will determine action on next week, generally informs the movement of mortgage rates. Analysts widely anticipate an increase in the rate, despite initial claims to the contrary after the election. "The 10-year Treasury yield dipped this week following the release of the Job Openings and Labor Turnover Survey," says Sean Becketti, chief economist, Freddie Mac. "The 30-year mortgage rate rose another five basis points to 4.13 percent, starting the month 18 basis points higher than this time last year. As rates continue to climb and the year comes to a close, next week's FOMC [Federal Open Market Committee] meeting will be the talk of the town, with the markets 94 percent certain of a quarter-point rate hike." The 15-year fixed-rate mortgage, in addition, moved higher, averaging 3.36 percent with an average 0.5 point, according to the survey. The 5-year Treasury-indexed hybrid adjustable-rate mortgage, as well, rose to an average 3.17 percent with an average 0.5 point. More Americans expect home prices to rise, according to Fannie Mae's recently released Home Purchase Sentiment Index® (HPSI)—but that expectation is likely muddled by the charged election atmosphere, which has resulted in opposing attitudes toward housing. The amount of Americans who said home prices will rise increased four points to 35 percent in November—a reversal of trend. The HPSI overall decreased 0.5 points to 81.2 percent last month, a half-point higher than its reading the same time last year. "The November Home Purchase Sentiment Index outcome is difficult to interpret, as the data collection period occurred across the Presidential election timeline," says Doug Duncan, senior vice president and chief economist at Fannie Mae. "The results are fairly evenly split between responses collected before and after the election, and there is evidence of an increase in consumer optimism in the immediate aftermath of the election. However, we caution readers against drawing conclusions about sustainable changes in consumer sentiment so soon after the election." The amount of Americans who said it is "a good time to buy a house" decreased one point to 30 percent; the amount who said it is a good time to sell, however, decreased six points to 13 percent, and the amount who said it is a bad time to sell increased two points to 38 percent—indicators of an upcoming swing to a buyer's market. The amount of Americans who said mortgage rates will go down in the next year decreased as well, six points to -51 percent. Mortgage rates shot up over 4 percent in the wake of the election—the first time rates were above 4 percent since 2015—and have continued to rise every week since. "Low mortgage rates have been the primary driver of positive attitudes toward the home-buying and -selling climate throughout the recovery," says Duncan. "However, if mortgage rates continue their recent rise, we may see a dampening in home purchase attitudes. There are clear predecessors for rapid market changes that ultimately dissipated, which urges caution in the interpretation of stability in short-term rate changes. Most recently was the very temporary market reaction to the Brexit and, earlier, the 'Taper Tantrum,' and in both instances the rate regime returned to roughly its prior position. The drivers are somewhat different in this instance but nonetheless suggest modesty in drawing near-term conclusions." Housing on the whole is expected to slow next year, with realtor.com® estimating home prices decelerating to a rate of 3.9 percent from an expectation of 4.9 percent. Since relocating is such a major undertaking, it's vital to thoroughly research your options. This is especially essential regarding an overseas move. Here are five things to assess in a prospective neighborhood to ensure you'll feel at home, no matter whether your new home is here or abroad. One consideration is how you'll navigate your new surroundings. Find out whether you'll have access to public transportation or need a car. If you can use public transit, what are the service hours and stops? If you require airport proximity, determine how you'll get there. Do you currently have a job lined up? If so, calculate the distance of the commute from the neighborhood in question. Will the trip be a cakewalk, or grueling? According to World Knowing, the top-ranked countries with the best transportation systems in the world are Hong Kong, Singapore, the UAE, the Netherlands, Switzerland, Japan, Germany, France, Spain, and the UK. Even if a REALTOR® lists the distance from a house to a public station, the calculation doesn't always include door-to-door travel time. You may be able to use Google Maps to determine this. If not, the website of a city's public transit system may provide a clue. Before visiting a neighborhood, think about businesses you'll be frequenting, such as a bank, grocery store, pharmacy and retail shops. Make sure they're a feasible distance from your prospective home. Also, ensure their customer service is reputable and prices are reasonable. For example, if there's a grocer nearby, does it stock staples, or only expensive gourmet goods? Where can you find fresh produce? Did you know there's a correlation between the presence of schools and crime? A 2011 study by the University of New Mexico found that elementary schools have a protective effect against property crimes. Middle schools, however, promote drug felonies, and high schools foster both property and narcotics crime. So, regarding school proximity, aim to be close enough for a short trip, though not a hop, skip and jump away. Concerning school reputation, attend a PTA meeting at a given school. By speaking with other parents, you'll get firsthand information on the school's quality. A good school district increases a home's value, should you wish to sell in the future. Is culture important to you? If you're an avid fan of art, theater and music, this is a consideration. Do you like to frequent restaurants, pubs, or dance clubs? If these are high on your wish list, how close are they to the home you're debating? If you must travel to a distant town, factor in transit costs. Also, research proximity to free entertainment, such as parks, museums and libraries. If you're a sports enthusiast, assess the distance to athletic arenas. There's one caveat regarding crime: Steer clear of a neighborhood where bars are prevalent. The study mentioned above concerning schools and crime found that ready access to alcohol promotes violence and vandalism. Neighborhood decline has telltale signs. Drive through the streets of a potential town, and look for financial clues. Examples of red flags are unkempt parks, littered streets and a prevalence of "For Sale" signs. Are people moving out of the area? Are businesses closing up shop? Query librarians about the town and whether it's fiscally sound. Ask if the library has cut down its hours, another clue to a suffering economy. Look for indications that people care about their property and each other. Do houses and landscapes look maintained? Are neighbors interacting? If any seem friendly, ask about their experience of living there. This post was originally published on RISMedia's blog, Housecall. Check the blog daily for top real estate tips and trends. In the past, real estate investment has been a male-dominated arena. However, as more and more women gain financial independence, they are moving into the real estate market at rapid speed. Below are a few reasons why women make good real estate investors. 2. Single women want to purchase a home because it is an asset they understand. It is tangible and they can enjoy the value of it immediately as they live day to day. 3. Because a woman's home is a metaphor for security, her mortgage is likely the first bill she will pay monthly. If economics get tight, other payments might go by the wayside, but not that all-important symbol of security. Carefully establish a realistic spending plan prior to purchasing a home so they can determine how much they can afford to spend, as well as how much they need for a down payment to reduce the financial risk of owning the home. Consider for how long they intend to live in the home, ensuring that purchasing makes better financial sense than renting. Be sure they have a high credit score to ensure eligibility for the best mortgage interest rates. Shop around for a mortgage lender who does not charge women more than men to borrow money for a home purchase. No matter how perfect a home might seem, there is always another equally perfect home out there. Never, ever, overspend on the purchase of a home. This mistake is expensive—some folks never recover financially from making it. Appreciation of the value of your home is never guaranteed, even when it is in a great location. This was originally published on RISMedia’s blog, Housecall. Visit the blog daily for housing and real estate tips and trends. 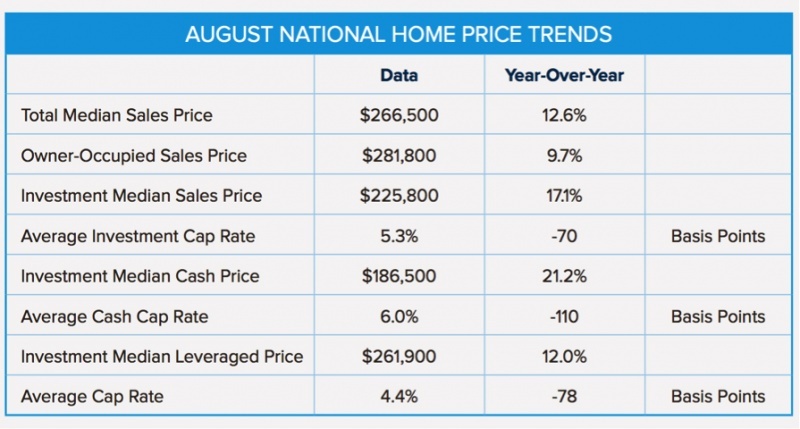 Home prices are up both year over year and month over month, according to the CoreLogic Home Price Index (HPI™) and HPI Forecast™ for August 2016. Home prices nationwide, including distressed sales, increased year over year by 6.2 percent in August 2016 compared with August 2015 and increased month over month by 1.1 percent in August 2016 compared with July 2016, according to the CoreLogic HPI. The CoreLogic HPI Forecast indicates that home prices will increase by 5.3 percent on a year-over-year basis from August 2016 to August 2017, and on a month-over-month basis home prices are expected to increase by 0.4 percent from August 2016 to September 2016. The CoreLogic HPI Forecast is a projection of home prices using the CoreLogic HPI and other economic variables. Values are derived from state-level forecasts by weighting indices according to the number of owner-occupied households for each state. For more information, visit www.corelogic.com. The bathroom, along with the kitchen, is the most frequently used room in many homes and the basic necessities – bathtub, toilet, sink, medicine cabinet and shower – determine how most of the space will be used. Bathrooms also require room for stashing towels, paper products, grooming appliances, soaps and shampoos, so maximizing storage is crucial in a well-appointed and well-planned bathroom. Much activity goes on in this small space and the design and decoration should emphasize function, comfort and style equally. Use the space between wall studs to make shallow storage for small items such as bars of soap and nail polish bottles. Cut away the dry wall between two studs and install narrow shelves that are just the depth of the stud, usually about four inches. Possible finishes for the opening include paint, tile board, mirror tiles or wallpaper designed for bathrooms. Leave the space open or hang a door; indoor shutters work well in this application. Buying and installing bathroom fixtures represents major commitments of money, time and labor. Keep permanent features such as the tub, sink and tile neutral in tone. Classic white is always popular, easy to find, and provides a versatile background for any decorating scheme. Inject color and style into the room with paint or wallpaper, linens and accessories that are easy and inexpensive to redo when a change is desired. If you have swimmers or beach-goers in the family, a place to hang wet bathing suits and towels is a must. Look for hooks or retractable clotheslines that can be installed in a shower or tub enclosure to keep water and sand off floors and furniture. Adequate light is needed in a bathroom where grooming tasks such as shaving, hair styling or applying makeup take place. Many bathrooms do not have windows, which means artificial lighting is even more crucial. One fixture over the vanity is not sufficient. Install decorative sconces on both sides of each mirror and add recessed or surface-mounted lighting fixtures in the ceiling, being sure to follow building code regulations. Shower designs should meet the needs of all family members. A built-in bench in a shower is a good choice for small children, the elderly or anyone with limited mobility. A detachable shower head brings the water to the bather. It has the further advantage of making the shower stall much easier to clean, as the water can be directed into corners to rinse away grime, soap residue and cleaning products. For a real touch of luxury, especially in colder climates, install heated towel racks. They are available in many sizes and styles and not only supply toasty towels but will also help to warm the air in the bathroom. Towel warmers can be plugged into a nearby outlet or hardwired into the bathroom’s existing electrical system. For a very small bathroom with limited wall space for swinging doors, consider a pocket door that slides neatly between walls. They are available in styles and finishes that will complement any décor and are easy to install. It is even possible to mount a full-length mirror panel on the pocket door, solving two problems at once. Because the bathroom is a relatively small and mostly utilitarian space, it can be overlooked when remodeling, redecorating or in a new build. However, this is not the place to pinch pennies. A comfortable, functional and attractive bath makes a home more livable and increases resale value if the home is placed on the market. Plan carefully and shop wisely to create an appealing, usable space for your family and guests without going over budget. Average fixed mortgage rates remain largely unchanged ahead of this week's employment report, according to Freddie Mac's recently released Primary Mortgage Market Survey. The 30-year fixed-rate mortgage (FRM) averaged 3.42 percent with an average 0.5 point for the week ending October 6, 2016, unchanged from last week. A year ago at this time, the 30-year FRM averaged 3.76 percent. "The 10-year Treasury yield leaped to a two-week high following reports of the European Central Bank retreating from its bond-buying program ahead of its initial March deadline,” says Sean Becketti, chief economist, Freddie Mac. “In contrast, the 30-year fixed-rate mortgage remained unchanged. Over the past two weeks, mortgage rates have remained fairly flat while Treasury yields have fallen and risen." The 15-year FRM this week averaged 2.72 percent with an average 0.5 point, unchanged from last week. A year ago at this time, the 15-year FRM averaged 2.99 percent. The 5-year Treasury-indexed hybrid adjustable-rate mortgage (ARM) averaged 2.80 percent this week with an average 0.4 point, down from last week when it averaged 2.81 percent. A year ago, the 5-year ARM averaged 2.88 percent. Median sales prices for all types of residential real estate are soaring. According to the monthly HomeUnion Home Sales Report, prices for investment houses and owner-occupied homes increased 12.6 percent from one year ago to $266,500. The all-cash segment of the SFR sector also grew dramatically: then median sales price soared 21.2 percent to $186,500 in August year-over-year. “Anyone taking out a mortgage, including SFR investors, will be able to leverage properties at historically low rates,” explains Steve Hovland, director of research for HomeUnion. For more information, visit www.homeunion.com. Average fixed mortgage rates have dropped slightly from last week's post-Brexit high, according to Freddie Mac's recently released Primary Mortgage Market Survey® (PMMS®). The 15-year FRM this week averaged 2.76 percent with an average 0.5 point, down from last week when it averaged 2.77 percent. A year ago at this time, the 15-year FRM averaged 3.08 percent. The 5-year Treasury-indexed hybrid adjustable-rate mortgage (ARM) averaged 2.80 percent this week with an average 0.5 point, down from last week when it averaged 2.82 percent. A year ago, the 5-year ARM averaged 2.91 percent.